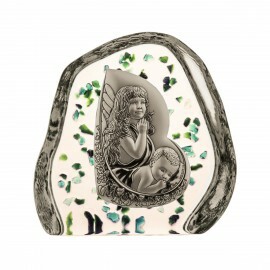 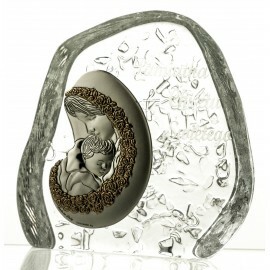 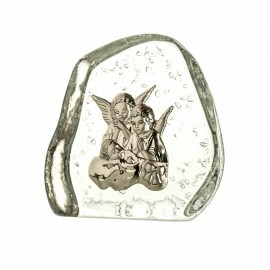 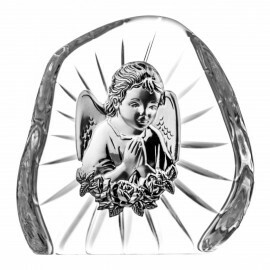 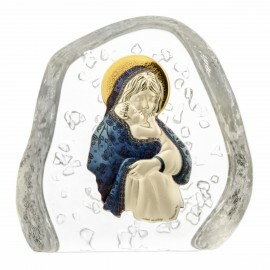 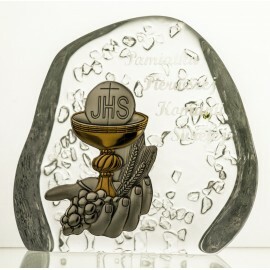 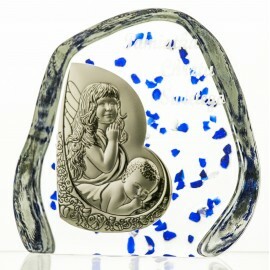 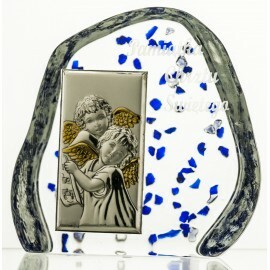 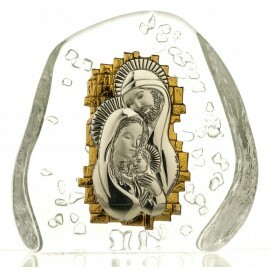 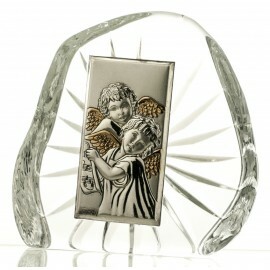 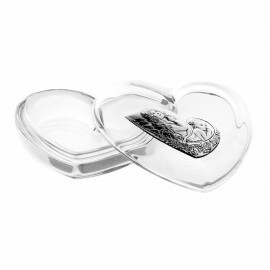 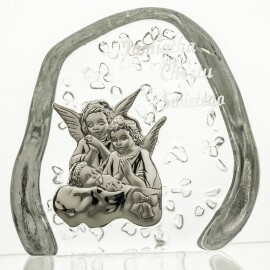 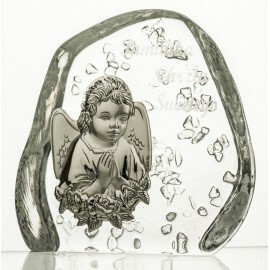 This paperweight is made from high quality 24% lead crystal which gives it a high shine and excellent durability. 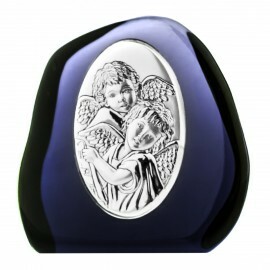 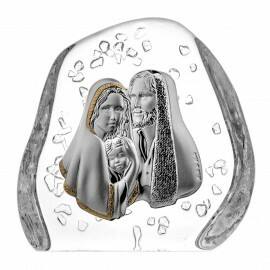 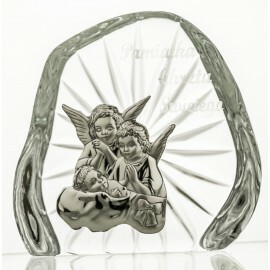 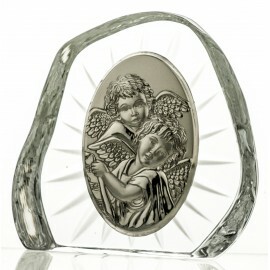 This luxurious devotional item features a silver-plated picture of angels and engraved writing in Polish language. 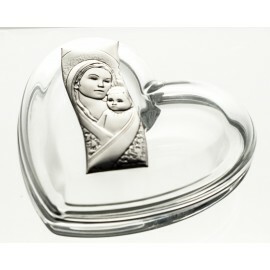 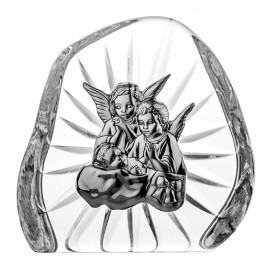 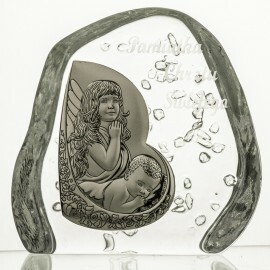 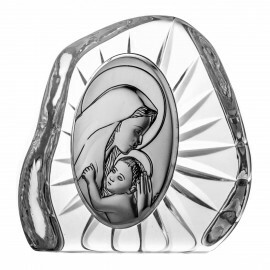 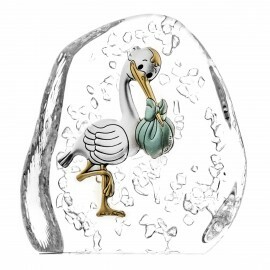 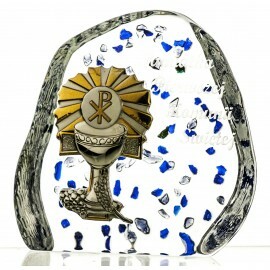 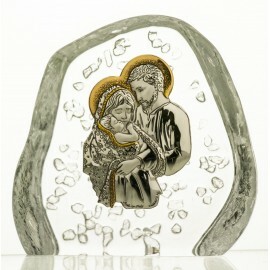 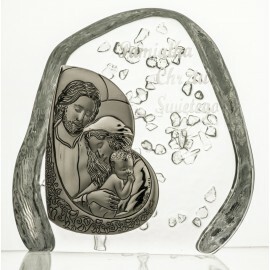 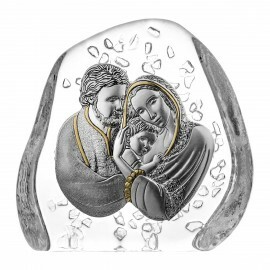 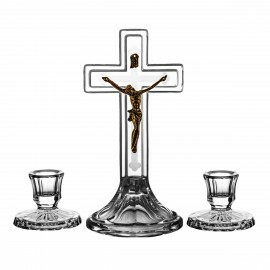 This piece of glassware will make an elegant gift for Baptism.